7800: Pac-Man Plus - Now with Manual! 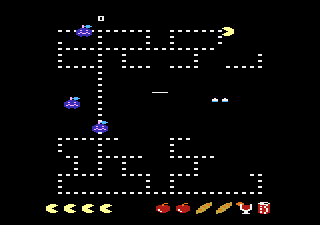 In keeping with the 5200 hacks, here is the 7800 version of Pac-Man Plus. Edited by PacManPlus, Fri Apr 14, 2006 7:50 AM. If you did you would be my new hero! How about Ladybug for the 7800? Ladybug is kinda like Pac-Man, right? just hack it! Nice. Besides the obvious (like some of the effects). But then this is the 2600 sound chip we are talking here. Did you do a microsoft? 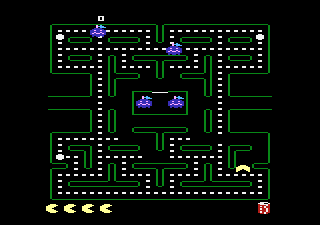 I dont remember the maze blinking at the end of the level (at least not in the pac-man hack). Non-the-less it is cool seeing all these pac variants for the 7800. Does pac-man start off moving so fast in pac-man plus? I'm just curious. Does the 2600 have a CPU stack? And if so where is it stored? Edited by Shannon, Thu Jun 9, 2005 9:55 PM. The 2600 has a stack, it is usually stored at $00FF and downward, through $0080. Oh ok cool. I was kinda half asleep and coming down with something when I was checking them out. Very nice! A new Joystick might help there, my old-as-dirt Wico seems be getting a bit insensitive. Here is the Manual for 7800 Pac-Man Plus, although you need Microsoft Publisher to view / print it. Oh Cool I see you used my labe art, anyway I can get a copy of Pac-Mam Plus cart?? ?